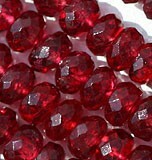 The hardness of Spinel Gemstone on Moh’s scale measures to 8 and it is one of the not much remembered stone. The stone is neither a birthstone nor it is associated with any other ceremony. 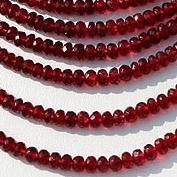 Its name is derived from a Latin word referring ‘Little Thorn; which is because of some sharp pointed spinel crystals found in this gemstone. An interesting feature of this stone is that it is available in different colors and therefore it is not possible to locate its actual color. The stone is blessed with abundance of metaphysical and healing powers. 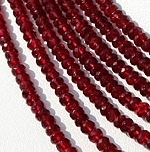 Use of this gemstone brings money, wealth and prosperity to the user. 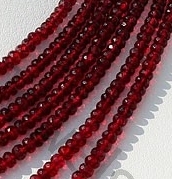 At online stone of Ratna Sagar you will find Spinel Gemstone beads in beautifully extracted Faceted Rondelle shape. According to old sayings use of this gemstone strengthens teeth, gums, spine, enhancing immunity powers of the user, helpful in healing of cancer, and helping the user in attaining an impressive physique.